Since the 1950s, the European Union has been successfully built on the basis of a single market and a common trade policy. The recent increase in tension between China and the United States and the root and branch changes in international trade rules provide an opportunity for the EU to revamp its trade policy. Who is world's largest trading power? It’s neither China nor the United States but the European Union (EU), which exported €2,600 billion worth of goods and services to China in 2016. A fact often forgotten when Washington and Beijing are engaged in a diplomatic and economic war in which Europe is often a passive spectator or even a collateral victim. Yet, with its trade-related power, the EU has cards to play in support of its member countries as well as in terms of imposing its own rules at international level. Since the end of the transition to the Common Market under the Treaty of Rome (1957), the member states of what has since become the European Union have had a common trade policy. It is the necessary counterpart to establishing the free movement of people, goods, services and capital. EU members apply the same trade regulations to their partners. And, in consultation with its members, negotiating these trade agreements is the prerogative of the European Commission. One of the main strengths of this common policy is that, on paper, it allows the EU to speak with one voice - either with its partners or within the WTO. On the strength of this mandate, the Commission has negotiated trade agreements with all the world’s major economic zones. Among them, the Lomé Convention signed in 1975 with 46 countries in Africa, the Caribbean and the Pacific and the Free Trade Agreement with Canada (Ceta) in 2016. From the outset, these negotiations were helped by the size of the EU market, which has been reinforced by successive enlargements. The European market, now over 500 million consumers, has emerged as an attractive economic, financial, scientific and cultural hub. In the framework of the Europe 2020 strategy, EU trade diplomacy has been further strengthened since 2010. The new generation of trade agreements now covers the protection of intellectual property, the liberalization of investment, public procurement and sustainable development. The latest agreement, which came into effect on February 1st 2019, is the Japan-EU free trade agreement (Jefta), which is also the largest ever signed; trade in goods and services between the two economic zones is estimated at 36.9% of global trade. Europeans expect this agreement to increase their exports to Japan by 25% and to save €1 billion in tariffs, in particular through the abolition of those on its food products. In return, Japan has easier access to the common European market for its automotive industry. In this treaty, the Europeans want to loudly and clearly reassert the principles that have guided them since the 1960s: rejection of protectionism and the defence of free trade. "We are sending a clear message that we are standing together against protectionism," said European Council President Donald Tusk in July 2018 after signing Jefta. The central role of the EU in international trade largely explains its position. Europe is the least protectionist trade zone in the world. It therefore constantly denounces the liberties taken with WTO rules by its main partners. For example the dumping policy for certain products such as solar panels made in China, excessive subsidies for companies - in particular Chinese companies - from their governments or the lack of reciprocity when awarding public contracts. However, the European position is becoming increasingly difficult to maintain against the backdrop of growing trade tensions. "We are witnessing a challenge to the international trading system by its very architect, the United States," said Sebastien Jean, director of CEPII. This shift, which began in the previous US presidencies, intensified with the arrival of Donald Trump in the White House. It can be explained as much by the arrival of new players - former emerging countries and particularly China - as by the changes in the nature of trade. "Services, technology, patents and other intangible assets now give countries like the United States their comparative advantage," continues Sébastien Jean. The tax system for this type of trade is outdated. Although China remains the prime target for US attacks, its historical partners, from Mexico to Canada and the European Union, have not been spared. Renegotiated trade treaties, tariff increases and even geopolitical pressures (as illustrated by the Huawei case) suggest a trade war is in full swing. Europe has already paid the price with the cancellation of the European exemption on steel and aluminium exports to the United States. Europe could, however, draw some benefits from the situation - at least in the medium term. "Bilateral trade between the US and China will fall and be replaced by trade from other countries," says Pamela Coke-Hamilton, head of UNCTAD's international trade division in a statement accompanying the Key Statistics and Trends in Trade Policy 2018 report. The UN agency explains that the US economy will benefit very little from the additional tax on Chinese imports. Only 6% of these will be replaced by products made in the USA. And 82% by goods manufactured by third country companies. The finding is very similar for the $85 billion in US exports taxed by China. Overall, out of the $335 billion Chinese or US exports that are taxed, the EU is expected to take the lion's share with 70 billion. The clash has taken a highly political turn. Beijing is fighting fire with fire, replicating US tariff increases and actively supporting its businesses while the EU, for its part, starts with a handicap. "Europe is an economic power but not yet a political one. And this new situation challenges its cohesion," points out Sébastien Jean. Although it officially speaks with one voice, internally differences of interest can be heard between the countries which, like Germany, are net exporters and those which, like France, are net importers. In the absence of a political union, and between the strategies deployed by Washington and Beijing, the EU would like to embody a third way. "With China, Europe can contain the unilateral instincts of US trade policy," suggests Sébastien Jean. "And in partnership with the United States, it can push China to follow WTO rules, in particular by channelling Beijing's interventions on its economy.” European policy therefore associates the signature of strategic trade agreements with the well-understood protection of the interests of its member states. In response to the US steel and aluminium decision, in June 2018 the EU decided to apply additional tariffs to iconic US products, such as jeans and bourbon. 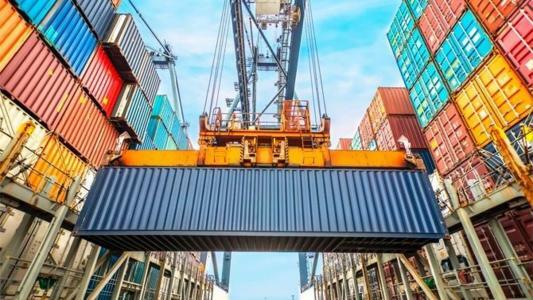 At the same time, it introduced new anti-dumping and anti-trade subsidy tools for imports to its market and, in November 2018, its member states agreed to improve foreign direct investment (FDI) screening. The goal of these measures is to "ensure FDI does not pose a threat in terms of critical infrastructures, key technologies or access to sensitive information," continues the specialist. The EU's commitment to supporting WTO reform is in the same spirit – to insist on a third way.